Online Casinos have become extremely popular in Australia in the past 15 years and have served to build a multi-billion dollar industry that is growing yearly. And where do you start if you want to gamble at an online casino? Nevertheless, even with all these clear advantages, you should never forget that online gambling is first and foremost a form of entertainment. Casino games are games of chance and are ultimately designed to make money for the online casinos. Does this mean you will lose 100% of the time? Absolutely not. If that were true, nobody would gamble anymore. You are perfectly able to win (big) money at an online casino. Especially with our 10 great online casino tips and tricks. 1. Investigate before you choose where to play. Read our trusted online casino reviews. Find out if there are any complaints about the online casino you are thinking about joining. Do not register and deposit money before you are 100% satisfied that the casino is reliable. 2. Take full advantage of any casino bonuses that can boost your bankroll or give you free spins on a pokie machine. Before making the first deposit, find out what the maximum bonus amount is. 3. Read the bonus terms and conditions. Every bonus has a wagering (or playthrough) requirement, which means that you have to play through the bonus amount a certain number of times before you can withdraw the amount. The lower the wagering requirement, the better the chances that you can withdraw before running out of funds. Also, make sure that there is no maximum amount that you can win from the bonus and check if there are any games or pokies that are excluded from play with bonus money. 4. Decide before you start gambling what your budget is for that day and stick to it. It also helps to determine beforehand what your target amount is. Once you reach that goal, withdraw your total balance or withdraw your target amount and only keep playing with the extra money. 5. Read the rules of the game and make sure you fully understand them before playing with real money. Don’t forget that you can always practice for fun in every reputable casino. 6. If you are unclear about anything or have a question about your bonus, payments or the terms and conditions, ask the helpdesk. Every good online casino has a live chat function where you can chat with a live, friendly and well-trained staff member. 7. Never try to chase your losses. Every outcome of an online casino game is determined by a computer algorithm known as a random number generator. This means that no game outcome is ever influenced by past or future results. Every spin is a new, totally independent sequence. Contrary to popular belief, a pokie machine is never “due” to hit and the odds of hitting Red at the Roulette table is exactly the same every spin. It does not matter if the 2 last spins were Black or if the last 15 spins were Black. The odds remain the same. 8. It is advisable to register at more than one online casino. There are hundreds of online casinos in the Australian gambling market and each will give you a new welcome bonus. Try some out, play some games and make a few deposits (and withdrawals! ), until you find a casino that feels safe and comfortable at. 9. If you are into table games, read into the specific strategies. Blackjack is one of the few games where you, as a player, can directly influence your chances of winning by playing correct Blackjack strategy. Knowing exactly when to hit, stay, double down or split makes a huge difference in your chances of winning. 10. 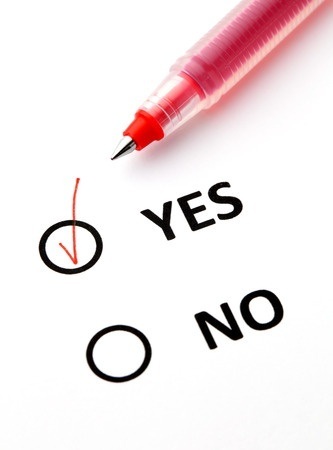 Finally, make sure that you tick the “Yes, I want promotions” box when you register at an online casino. Each casino that we like to play at sends us great promotional offers through the mail from time to time, with free pokie spins, reload bonuses and cash drawings amongst other things. Some casinos even hold raffles from time to time where players can win free all expenses paid trips to Las Vegas ! If you want to try out an online casino for real money, or even if you just want to play for fun, visit one of these trustworthy online casinos that have been tested – and approved – by the Superbigwin.com team. Each online casino will give you a nice welcome bonus on your first deposit and sometimes, some free pokie spins as well.